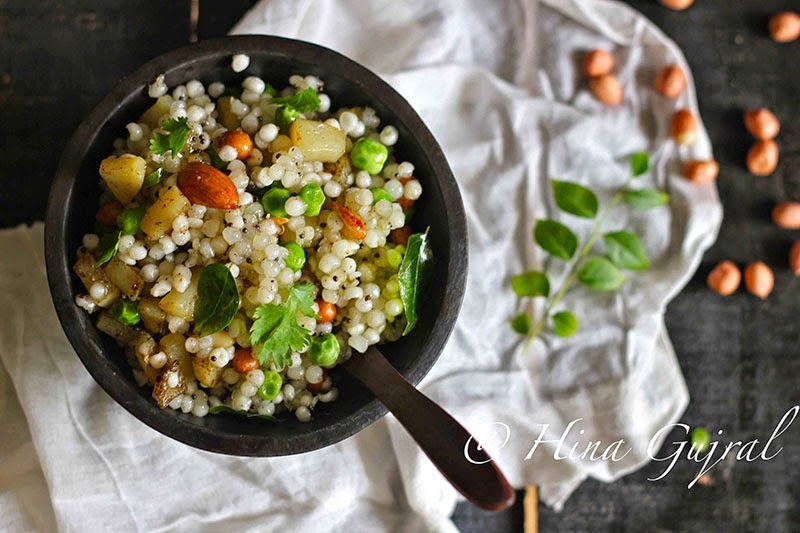 Sabudana Khichdi happened in the kitchen because I am celebrating nine days of Navratri. With fasting and that means I will be following a restricted diet for nine days, more of whole grains, fruits, no egg/meats or I should say a wholesome holistic diet. To keep my energy level I make sure while traveling around for work I carry along my snacks rather than draining out nutrients from my body from starving. 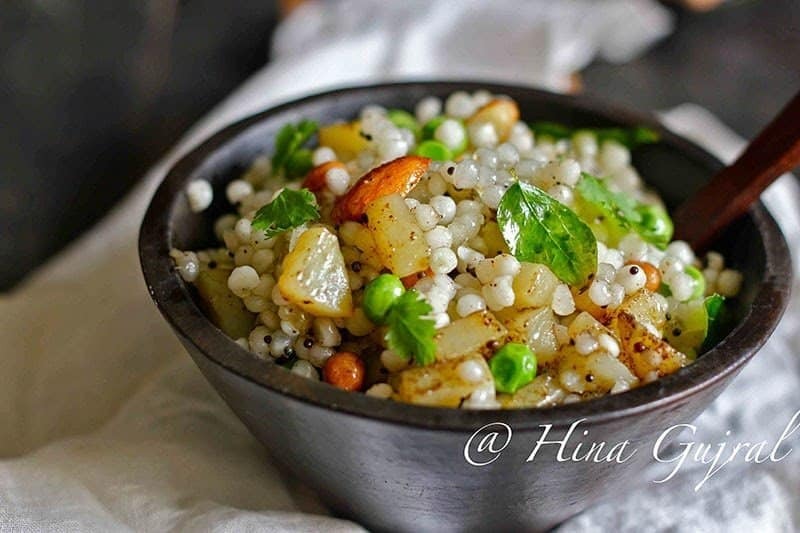 Sabudana Khichdi is one of the best, gluten-free snack recipes. 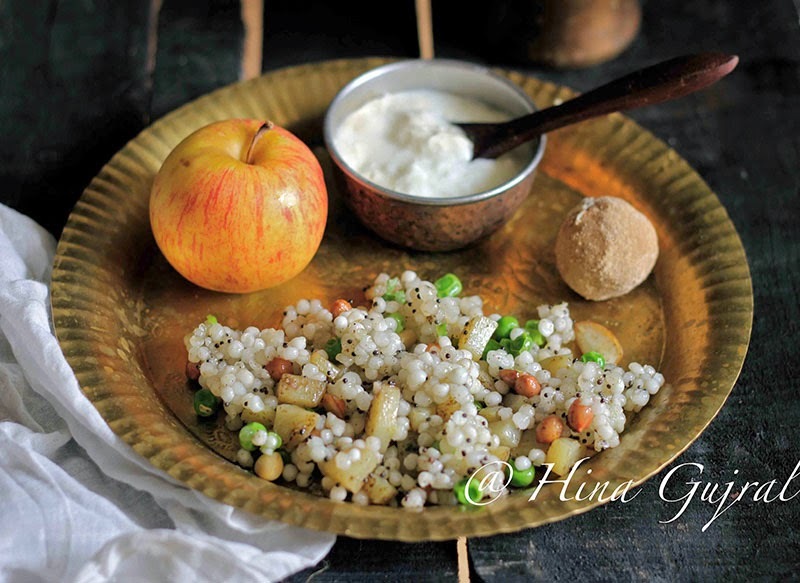 For the nine-day meals, I plan well in advance and stock my pantry with ample fresh fruits, dates and nuts, juices, yogurt, honey and grains like sago, chestnut flour, buckwheat. 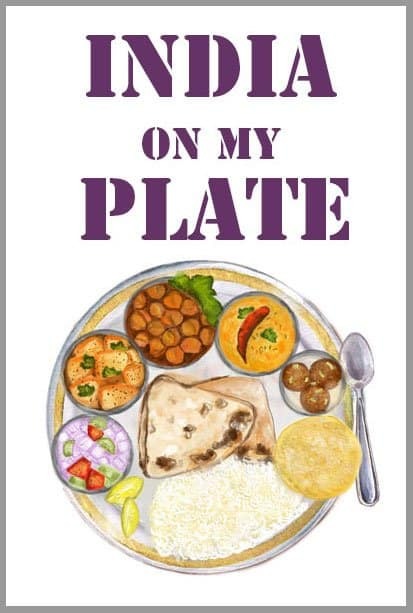 So for the coming week, you have to bear with me as I will be sharing more of fasting recipes as that is what stirred up in the kitchen these days, and I guess that’s a nice break for my oven and saucepans, whom I always keep busy on the regular days. Though there is immense resistance from him for this kind of menu, as he not at all love the idea of following this wholesome diet for nine days, I have to convince him hard and promise some delectable desserts once the fasts are over and also stock up some desserts, snacks, and dips in the fridge for him to nibble all this while. But this year these dessert promises cannot keep me away from the kitchen as he is on leave for a week, which means for me more time in the kitchen. 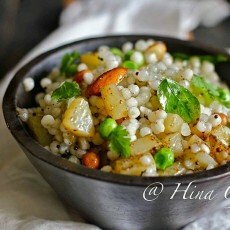 Let’s see how it goes, anyways you get to know about it in my next post until then start fasting with this Sabudana Khichdi. Soak sabudana overnight or for at least 4 – 5 hours. Next day rinse the sabudana over a metal strainer very well until all the starch drained out. Keep aside in a strainer. In a heavy bottomed skillet heat ghee and add mustard seeds. Once seed starts cracking add peanut, almonds and roast for 3 – 5 minutes. Now add the curry leaves, peas and green chilies. Fry for another 1 – 2 minute and then add chopped potato. Mix in salt and black pepper along with a 2 – 3 tbsp of water. Stir occasionally in between until potatoes are cooked. Add the sabudana and mix well until all combined. Cover the skillet with a lid, reduce the flame to lowest and let the sabudana cook for another 3 – 4 minutes. Don’t overcook as they might become lumpy and hard. 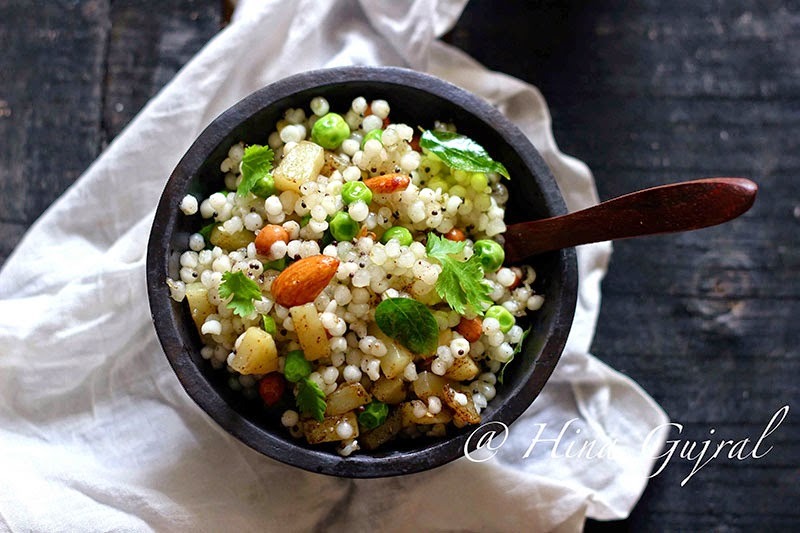 Switch off the gas and squeeze lemon juice over the khichdi along with chopped coriander.